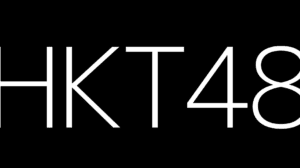 HKT48 Team KIV is the second team of HKT48, AKB48’s sister group in Fukuoka, Japan. 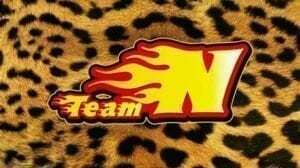 They currently have fifteen members and are under EMI Records. -She joined HKT48 as a Kenkyuusei in July 2011 and was promoted to Team H in March 2012. She was transferred to Team KIV in 2014. -Her ambition is to be a model. -She has two younger sisters. -Her highest Senbatsu ranking is 36th (8th Senbatsu). -She was on Produce 48 (ranked 52nd). -She is close with Matsuoka Natsumi and Matsuoka Hana. Their friendship group is called Team Kihen. -She is very skillful with outdoor activities. -She is one of Team KIV’s best dancers. -Her charm point is the mole below her eye. -Her hobbies are dancing, collecting towels, drumming, and movie appreciation. -She is the crybaby of HKT48. -Her special skill is determining possessions of the members based on their smell. -Her favorite sports are tennis and soccer. -She is close with ex-member Kimoto Kanon. -Her favorite colors are black, blue, pink, and white. -She and Anai Chihiro have a younger sister-older sister relationship. Their families also get along well. Aoitan’s catchphrase: Fukuoka is represented by signals, let’s look at them together. Red is Mentaiko, Yellow is Pork Ramen, Blue is as expected? (Aoii!). I’m Motomura Aoi, also know as Aoitan, 21 years old, from the Fukuoka Prefecture. -She had a concurrent position in AKB48’s Team A from 2014 to 2017. -Her highest Senbatsu ranking is 3rd (10th Senbatsu). -She was on Produce 48 (ranked 2nd) and will promote as part of IZ*ONE. -She is very close with Murashige Anna. -Her favorite drink is green tea latte. -She is a member of AKB48’s Drama Club, a subgroup of members who want to be actresses. -She was a member of the Melonpan Alliance. -She is a talented writer and is known for expressing her ideas well. -A special skill of hers is being able to sleep anywhere. Sakura’s catchphrase: You too, you too, in everyone’s heart (Sakura bloom!) I’m Miyawaki Sakura, I’m 20 years old, from Kagoshima prefecture. -She joined HKT48 as a Kenkyuusei in 2011 and was promoted to Team KIV in 2014. -She was on Produce 48 (ranked 76th). -Her highest Senbatsu ranking is 90th (8th Senbatsu). -She loves the outdoors, especially fishing. -Members say she is easily annoyed, so when she asked for “something useful” for her seitansai (birthday event), she was given a punching bag. -She can eat very spicy food. -Her charm point is her eye smile. -She has a cool reputation, but actually likes cute things. -She is very motherly to the 2nd generation of HKT48. Mina’s catchphrase: Liven up Fukuoka, now (Imada). Everyone’s idol. I’m Imada Mina. -She joined HKT48 as a Kenkyuusei in 2012 and was promoted to Team KIV in 2014. -Her charm point is her eyes. -Her hobby is collecting flashy things. -She is close with Inoue Yuriya, Ui Mashiro, and Ueno Haruka. -Her hobby is typing really fast on her phone. Shino’s catchphrase: From Fukuoka Prefecture, I am 18-year-old junior high school first year student who loves dogs, Iwahana Shino. -She joined HKT48 as a Kenkyuusei in 2011 and was promoted to Team H in 2012. She was then transferred to Team KIV in 2014. -When a joke she makes falls flat, she says the nonsense word “moyatto”. -She has a long chin. -She doesn’t like roller coasters. -Her highest Senbatsu ranking is 54th (9th Senbatsu). -She dropped out of university in May 2017. -She loves animals and has a dog named Sakura. -Her hobbies are piano and badminton. -Her charm points are her husky voice and her dimples. -She once took a picture of a flower she found on the street and posted it on her Google+. It turns out the flower was illegal and the police called the HKT48 theater. This has become a running joke at the theater. -Her ambition is to be an actress or a reporter. Nao’s catchphrase: I wanna smile to everyone. My dimples are my charmpoint, I’m Ueki Nao, also known as Nao, 21 years old. -She joined HKT48 as a Kenkyuusei in 2016 and was promoted to Team KIV in 2017. -Her highest Senbatsu ranking is 84th (10th Senbatsu). -Her team Fairy W!nk won the 8th Janken tournament (the other member was Aramaki Misaki). -Her special skill is skiing. -Because she is from Hokkaido she speaks with a strong Hokkaido dialect. -She was a finalist in AKB48’s Team 8 auditions in Hokkaido. -Her hobbies are piano and looking for udon restaurants. Nappi’s catchphrase: I came from Hokkaido! I’m a 20-year old highschool senior, Unjo Hirona! When calling out for Hirona? Please say (Ruururururu!) Let’s go meet the fox together! I want to become everyone’s cutie! I’ll be in your care! -She joined HKT48 as a Kenkyuusei in 2011 and was promoted to Team H in 2012. She was transferred to Team KIV in 2014. -She is considered one of the best dancers in HKT48. -She has a good fashion sense. -Her special skill is acrobatics. -She has two younger brothers. -Her charm point is her smile. -Her ambition is to be an actress. Seriinu’s catchphrase: I wanna become the fashion leader of HKT48! I’m Kumazawa Serina, also known as Seriinu. Today as well, I’ll do my best! -She joined HKT48 as a Kenkyuusei in 2011 and was promoted to Team H in March 2012. In 2014 she was transferred to Team KIV. -Her highest Senbatsu ranking is 85th (10th Senbatsu). -She is close with Watanabe Haruka. -Her hobby is idol appreciation. -Her father is a Moriyasu Madoka oshi (fan). -Her special skill is having a soft body. -Her charm point is her long fingers. -Her ambition is to be an actress and a director. Shinamon’s catchphrase: Don’t be mean to me! Sweet to everyone (Shinamon!) I’m Shimono Yuki, also known as Shinamon, 20 years old, from the Fukuoka Prefecture. -She was a finalist in auditions for SKE48’s 7th generation, but she dropped out. -Her hobby is comparing different kinds of bread. -She likes to tease Toyonaga Aki, who is like a mom to her and other 4th Generation members. -She has a sarcastic and bratty character. -Her special skill is tennis. -She makes a lot of weird faces. -She usually clips her bangs to the side and wears her glasses while backstage. -Her charm point is her sharp eyes. -She joined HKT48 as a Kenkyuusei in September 2012 and was promoted to Team KIV in 2014. -Her highest Senbatsu ranking is 38th (9th Senbatsu). -Her charm point is her droopy eyes. -She is close with Sakaguchi Riko, Tani Marika, Goto Izumi, and Komada Hiroka. -She lives alone in an apartment in Fukuoka, and she often jokes about not paying her utility bills. -Her special skill is taking selfies. -Her hobby is online shopping. Asuka’s catchphrase: From Miyazaki prefecture, I am third year high school student, ‘sister-in-charge’, ‘skilled like Picasso’, Tomiyoshi Asuka, also known as Asuka. -She had concurrent positions in AKB48’s Team B from 2014 to 2015 and in AKB48’s Team 4 from 2015 to 2017. -Her highest Senbatsu ranking is 21st (7th Senbatsu). -She is close with Tashima Meru. -She is bad at waking up early. -Her charm point is her big dark eyes. -She has a grumpy and teasing character. -Her special skill is playing the clarinet. -Her hobbies are making sweets and going to bed early. -There is a running joke that she has one of the worst singing abilities in all48. Mio’s catchphrase: When I smile my eyes look like cashew nuts. I’m Tomonaga Mio, also known as Mio. -She joined the AKB draft and was drafted into HKT48 in early 2018. She was promoted in November 2018. -Her hobbies are piano, acoustic guitar, and making sweets. -Her pro is that she is always laughing. -She joined HKT48 as a Kenkyuusei in July 2011 and was promoted to Team KIV in 2014. -Her highest Senbatsu ranking is 91st (9th Senbatsu). -Her special skill is mental arithmetic. -She is a mood-maker among the group. -Her ambition is to be a singer and a TV personality. -Her charm points are her eyes and lips. Maikomu’s catchphrase: Everyone in front of me, smiling and happiness (Maikomu). I’m Fukagawa Maiko, also known as Maikomu, 19 years old, middle school 2nd year student, from the Fukuoka Prefecture. -She joined HKT48 as a Kenkyuusei in 2012 and was promoted in 2014. -Her highest Senbatsu ranking is 31st (7th Senbatsu). -Her specialty is a capella singing. -Her charm point is her dimples. -She wants to be a weather reporter. Maichan’s catchphrase: Born in Fukuoka Prefecture, I am twenty-one-year-old, first year high school student Fuchigami Mai, also known as Maichan. -She joined HKT48 as a Kenkyuusei in 2011 and was promoted to Team H in 2012, then was transferred to Team KIV in 2014. -She had a concurrent position in NMB48’s Team N from 2014 to 2015. -Her highest Senbatsu ranking is 67th (6th Senbatsu). -She has two younger sisters, Murashige Maria and Murashige Erika, who are both signed under Watanabe Entertainment. -She is half-Russian on her mother’s side and speaks it fluently. -She is close with Miyawaki Sakura. -Her hobby is watching variety shows. -Her skill is long distance running. -Many other 48group members think of her as annoying. -She is afraid of bugs. -She enjoys comedy and studies MCs. -Her ambition is to be a model and variety show star. -Her favorite foods are Japanese foods. -Her charm point is the sunflower pattern in her eyes. Aanya’s catchphrase: (In Russian) Hello, everybody. I love you so much! (In Japanese) I’m half Russian, Murashige Anna, also known as Aanya. -She joined HKT48 as a Kenkyuusei in 2011 and was promoted to Team H in 2012, then transferred to Team KIV in 2014. -Her highest Senbatsu ranking is 25th (6th Senbatsu). -She has won gravure (photoshoot) competitions. -Her special skill is piano performance. -She has a cool personality onstage but is silly backstage. -Her all48 oshimen (bias) is Kumazawa Serina. -She will release a piano album. -Her charm point is her forehead. -She has a 15 minute show on FM Fukuoka, four days a week, where every day she invites a different HKT member as a guest. Madoka’s catchphrase: A wealth of talents wildly blooming at once, pretty and pure of heart, I want to play many different tone colours. Striving to be everyone’s Madonna, I am Moriyasu Madoka, 21-years-old. 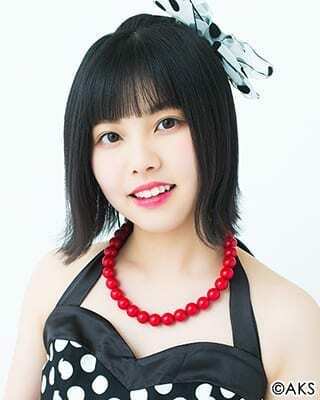 Author’s note: I am new to all48, so if there is any way I can improve the format of this profile (for example the member order, adding graduated members, using different statistics, etc) please let me know! 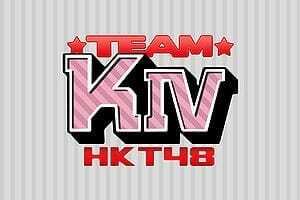 Who is your HKT48 Team KIV bias/oshimen? Looks like me and Maichan have the same birthday! !